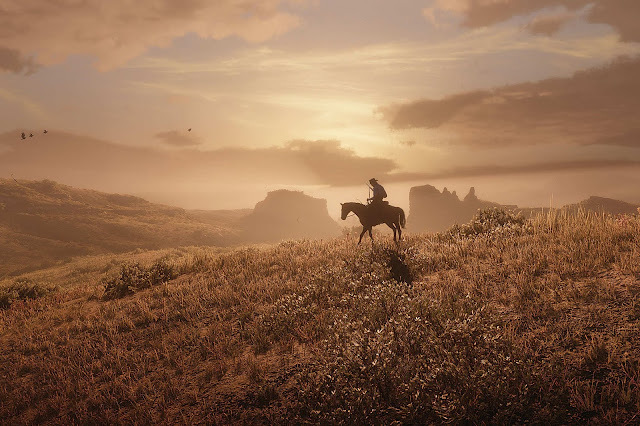 New York Magazine – "How the West Was Digitized: The making of Rockstar Games’ Red Dead Redemption 2." "The final script for Red Dead Redemption 2’s main story was about 2,000 pages. But if he were to include all the side missions and additional dialogue, and stack the pages, Dan estimates the pile “would be eight feet high.” Bringing the script to life meant 2,200 days of motion-capture work — compared with just five for Grand Theft Auto III — requiring 1,200 actors, all SAG-AFTRA, 700 of them with dialogue. “We’re the biggest employers of actors in terms of numbers of anyone in New York, by miles,” says Dan. Before a motion-capture shoot that would last two or three weeks, there were meetings “four hours each day for four days. We want it as tight as possible for motion-capture because we’re burning a lot of money very quickly [at those sessions].”"